Construction has started at Constellation Wharf in Charlestown, MA where Childs Engineering will be providing project oversight and inspection services until project completion in spring 2015. 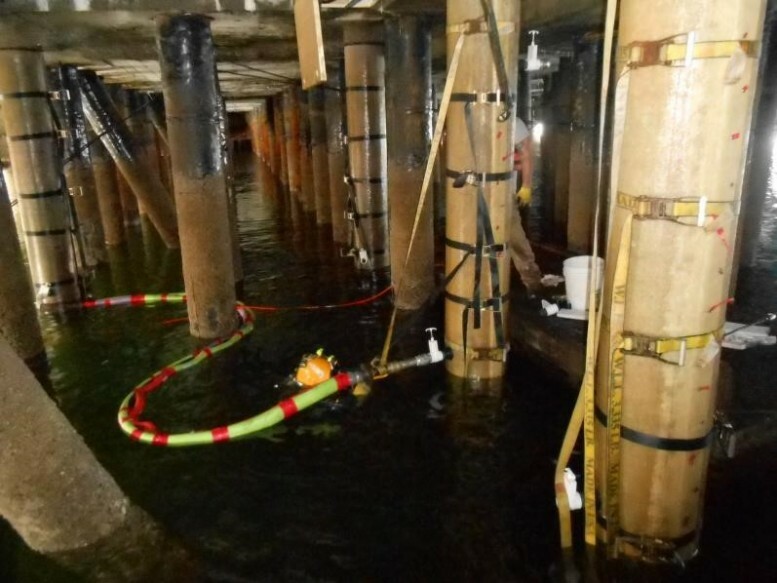 The project consists of installing 1720 sacrificial anodes, 231 grout reinforced fiberglass jackets and 16 concrete structural jackets to provide protection for the existing steel piles that have been in place since the original construction of the old navy pier in the 1950’s. Childs produced design drawings, technical specifications, and will attend weekly construction meetings as well as conduct regular dive inspections.